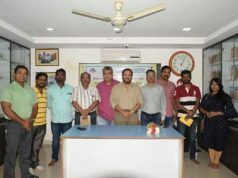 Bhubaneswar: The academic programmes for the new batch of B. Tech, M. Tech, MBA, MCA, BJMC, MJMC and diploma are inaugurated today by Er. Prabhat Ranjan Mallick, Chairman, Koustuv Group of Institutions in the Conference Hall of KGI Campus on 9th August 2017. Addressing the new batch, Er. Mallick advised the students to strive hard and work with a high level of integrity. He also urged the students to face challenges in life as challenges ensure growth. He also wished this institution will be their second home. 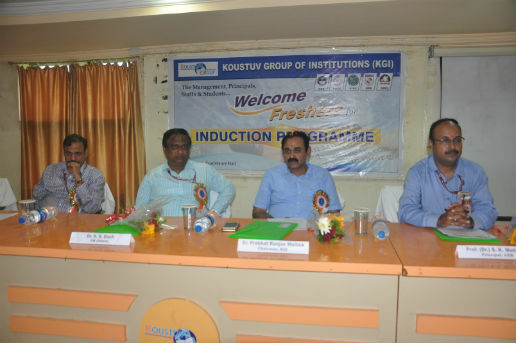 On this occasion, the newly inducted students were addressed by Dr. Sadasiv Das, registrar, KGI, Dr. Subrat Kumar Mohanty, Principal COEB, Dr. Sujit Kumar Khuntia, Principal KISD and Mr. Sisir bhattamishra, Principal NIMS & Editor-in-chief at Naxtra News. At the end all the heads of the departments were introduced. 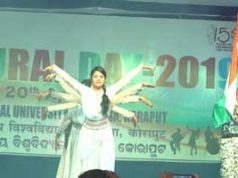 The Guests were introduced by Dr. Sunita Satapathy and Professor Soumya Darshan Mohanty proposed vote of thanks.